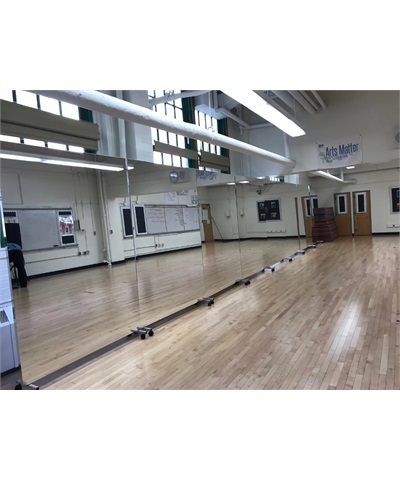 Ideal Barre in front of mirrors and windows. In stock for immediate shipment. 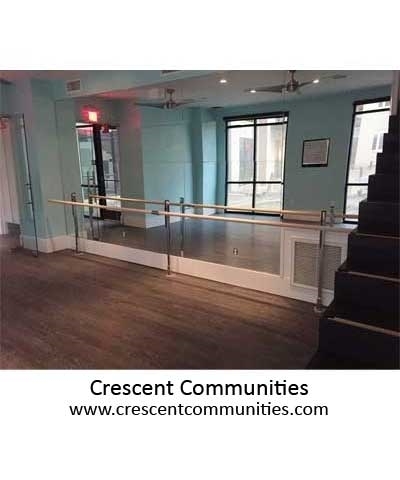 The Floor Mounted Ballet Dance Barre is the perfect barre in front of mirrors or windows. 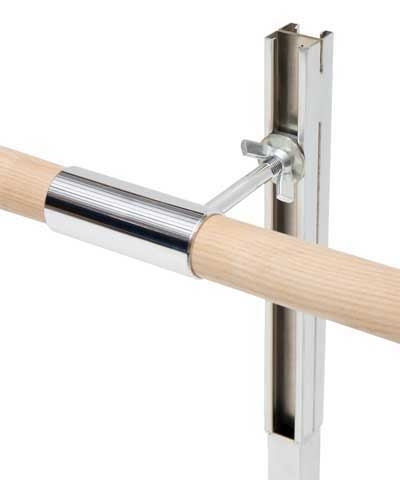 The barre features one 1.75" diameter Ash Wood Bar and sturdy chrome plated steel uprights. Bar easily adjust from 31" to 45". 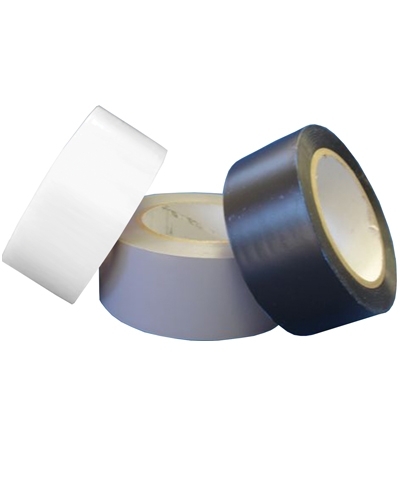 Perfect for any Dance or Fitness Studio, Gymnastics Center, Rehab Center or Home Studio. 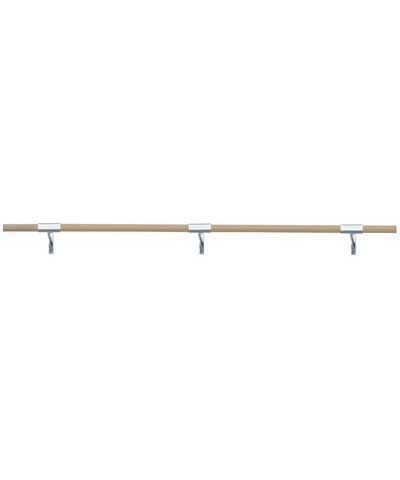 10' barrre consist of two 5' barres connected in the center with adjustable connector bracket. 12' is two 6' barres and 14' is two 7' barres. Uprights are made of chrome-plated steel. Can be mounted to wood, concrete or tile floors. Anchors not included. 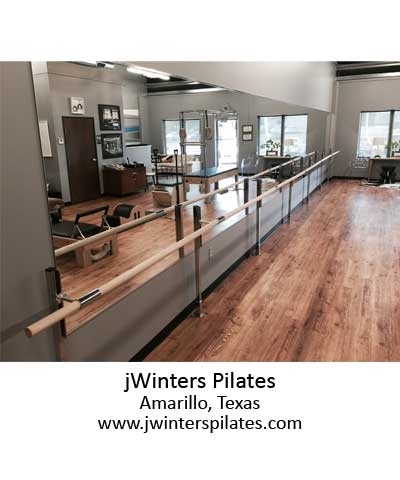 Bar height adjustable from 31" to 45"
Available lengths 4', 6' , 8', 10', 12', 14', 16', 24', 32' and continues in 8' increments.